Judy Garland's stand-in, Bobbie Koshay opens the door to enter Oz. 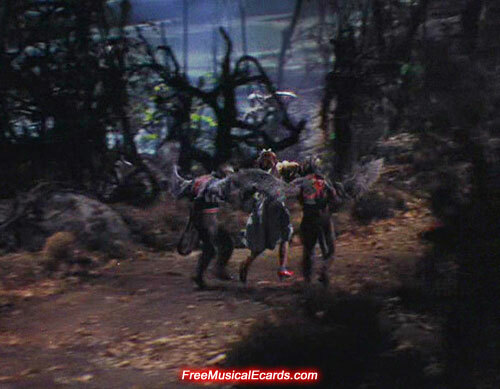 by the flying monkeys in the haunted forest scene. In The Wizard of Oz, the part of Dorothy was not only played by Judy Garland. Another young girl named Bobbie Koshay played a minor role as Judy Garland's on-screen stand-in and stunt double. 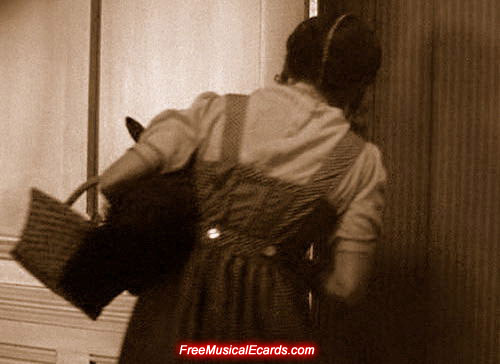 When Dorothy opens the door during the sepia-toned scene, it is not Judy Garland but her stand-in, Bobbie Koshay, wearing a sepia and white gingham dress, who then backs out of frame; once the camera moves through the door, Judy Garland steps back into frame in her bright blue and white gingham dress, and the sepia-painted door briefly tints her with the same colour before she emerges from the house's shadow, into the bright glare of the Technicolor lighting. 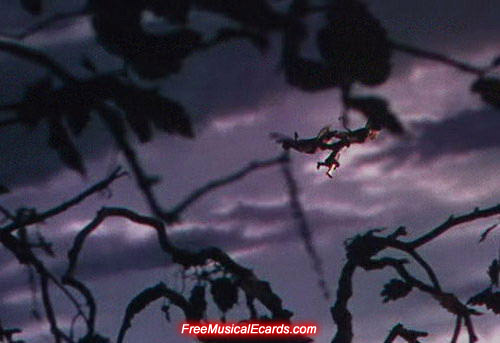 Also, when Dorothy gets carried in the air by the flying monkeys in the haunted forest scene, it is not Judy Garland but Bobbie Koshay. Once in the sky you are looking at a small model. Bobbie Koshay and Judy Garland party with The Wizard of Oz cast and crew.